The bit in December’s editorial regarding the need to get back to basic, simple bikes struck a chord with me, as I had not long ago written an article on that very subject. Anyone who knows me well, or who has read my articles, will know that I’m not a great fan of the raft of modern technology that goes into today’s bikes and cars – try solving an immobiliser problem on an old MGF, for example – its been known for owners to scrap their cars in frustration!. The development of ABS, traction control, and switchable engine mapping on bikes are all things that leave me cold – and thankfully I’m not alone in my thoughts. A recent experience has confirmed that the bike manufacturers have lost the plot totally and forgotten why we buy bikes in the first place. 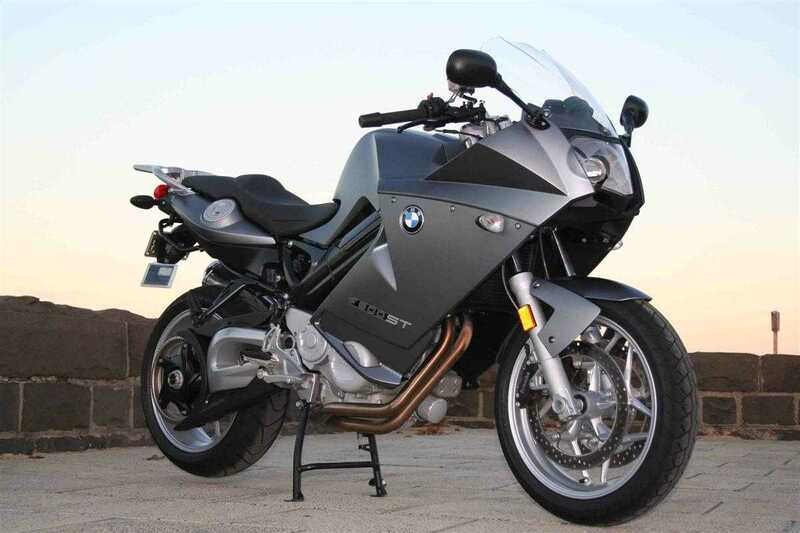 A friend had recently traded his large touring BMW for a brand new, smaller version (F800ST). It’s a lovely bike, with all the latest electronic gadgets fitted as standard, but the ones that really blew me away were that it checks its own tyre pressures, and the low fuel warning device. As well as telling you that you are low in fuel – a good thing really, as I have to take the fuel cap of for a look on my old BMW, or wait until it runs out and switch to reserve – the inbuilt GPS system plots a route to the nearest fuel station! Now, I think that’s a step closer to the bike controlling you rather than you controlling the bike, and I can see it also leading to problems. If, like me, the owner doesn’t regularly update the information on his SatNav, it might just lead him well out of his route to a petrol station that has closed down, or has limited opening hours – still a possibility in some countries. We got an interesting reaction when my friend, with his new bike, and I visited a group of friends, a mix of bikers and non-bikers. I was mounted on my winter bike, an old BMW G/S traillie, the granddaddy of the bikes Ewan MacGregor and Charlie Boorman used on their grand tours round the world. My bike is the last word in technology – it doesn’t have any! Yet, the group were unanimous in saying that my bike looked and sounded much more like a “real” bike, whatever that is. I may be wrong here, but I would reckon that the vast majority of big bikes are bought for pleasure – expensive toys for boys (and girls) to use at the weekend to chill out and de-stress, and maybe to take on the occasional touring trip. That adrenalin rush is unbeatable; that feeling of being in control of a powerful piece of machinery, which requires all your powers of concentration and skills to ride safely on the road. The key words there being in control, but on bikes fitted with all this modern technology are we still fully in control, or is the bike itself taking over? Is that what we really want? Not me! They say that nostalgia ain’t what it used to be, but it’s a fact that nostalgia sells. Look at the success of the new Beetle and Mini for example, but they are really just modern vehicles in semi nostalgic clothing. 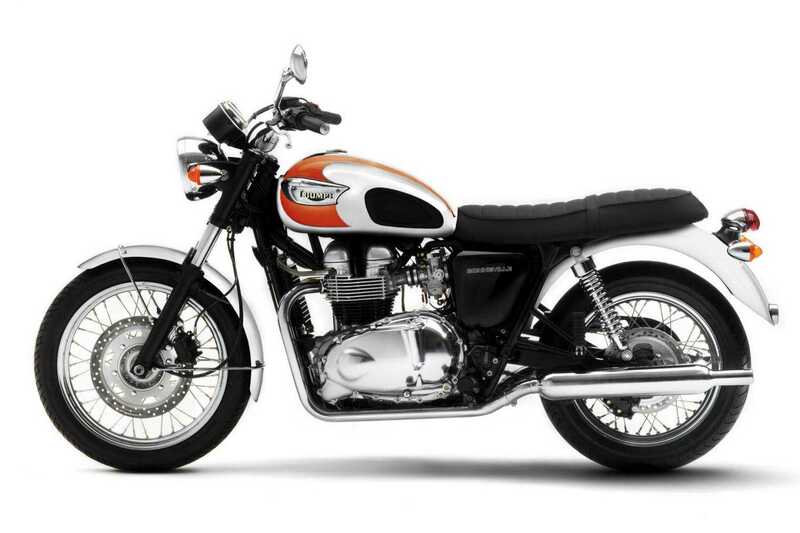 In the two-wheeled world the equivalent is probably the Triumph Bonneville. 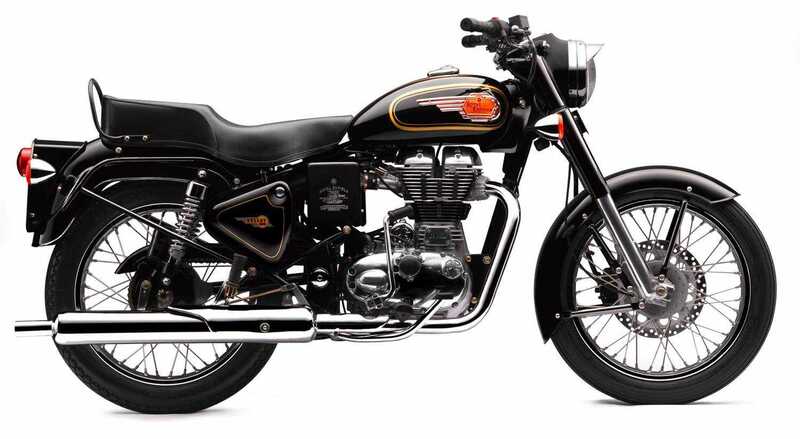 Could the bike manufacturers be missing a big selling opportunity by not building a ‘back to basics’ bike with nostalgic styling and the minimal amount of technology required to scrape it through emissions controls? I think the Bonneville is the best attempt yet, but the idea could go further. 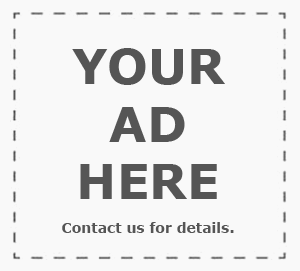 Something that’s cheap to build, so that prices can be kept low, easy to service so that the running costs, insurance and repairs would be minimised – a bit like Enfield have been successfully doing for decades, but with the addition of reliability. It could just attract a new category of motorcycle buyers, possibly being seen as a style icon for the young and trendy, or maybe as a step back to something softer and more manageable for older riders (rather than giving up riding entirely). It would need a biggish engine (500 to 750? ), with a non-threatening power curve and good torque to save having to change gear too often, but the rider would still be entirely in control of his machine. Checking tyre pressures, oil levels, and other essentials helps establish a rapport with your machine, which is part of the riding experience. It could be argued that a Harley Sportster meets some of these criteria, which is probably why it still sells so well, but my back to basics bike would be lighter, cheaper, have even less technology and have more of a traditional style. It would have longer service intervals, and it would be possible for a home mechanic to do it for themself without specialist tools. And definitely no chrome – this is a machine to use rather than polish. Which, I suppose, points to a bigger version of an Enfield Bullet. Single or twin, but definitely no more than two cylinders. 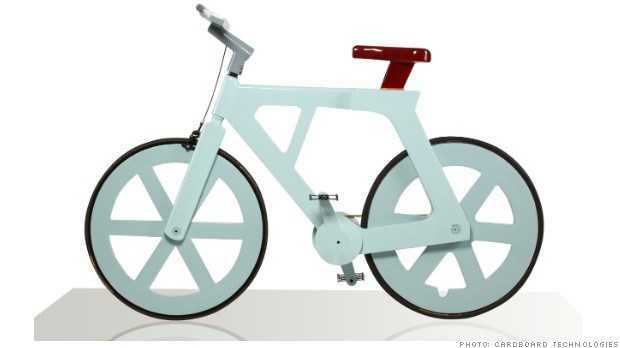 Would this new bike sell? Who knows? That’s for the marketing men to decide, but it was an interesting comparison when I went on a ride out with my friend on his new bike. Two 800cc BMWs separated by twenty seven years – one a tall traillie with skinny enduro tyres and zero technology, the other a sleek technical wonder with slippery fairing and super sticky tyres. In terms of power, both bikes were more than adequate for the roads we used. Handling was predictably vastly different – I had to work a lot harder to muscle my bike round the bends. But what I found interesting after we parked up was that my old winter hack got more interest from other bikers than the shiny new one – oddly, non-bikers thought mine was a nearly new bike. What could not be measured is how the riding experience compared for the individual owners, as we both agreed that we’d had a good run out. To attract buyers for my new “B2B” – hey, that sounds trendy already – it would take a slick marketing campaign, the kind they did for the Mini and Smart car, to highlight not just the user friendly riding characteristics, low price and running costs, but also to make it a cool bike to be seen on, by bikers and non bikers alike. Build in an ecological, or pride angle – assembled in the home country of each target market – to add to the cool factor, and I think it would work. I envisage the B2B bike being built by a co-operative of previously unemployed skilled workers, each owning a piece of the company and potential profits. Plenty of unemployed skilled guys out there, with a bit of redundancy in the bank – they would probably be happy to get off the dole and back to work if they had a stake in the enterprise. What manufacturer will be brave enough to give it a go? Incidentally I read recently that someone has invented a pedal cycle made virtually entirely of recycled cardboard. It was meant to hit the market at an estimated price of 20$, but for some reason the price had escalated substantially by the time of the launch, so sales were poor. Now that the price has been reduced a bit this interesting concept may take off. If it is available as self-assembly will it be called the Origami? Great article! I agree that when it comes to motorcycles, too much technology is not only unnecessary but it just adds weight and cost. The new generation of riders will probably become so dependent on technological advancements that they simply won’t be able to ride in case they need something as basic as an oil change. My brother-in-law came to motorcycling in his later years and has no mechanical knowledge other than where to put in oil, air and petrol. He has learnt to ride well and enjoys riding but freely admits that he has little clue as to what goes on under the surface of his bike. His modern bike allows him that freedom. I started riding at 17 (now 65) and still ride a 1960s era bike that I feel at home with and now know inside out. I have developed a mechanical sympathy with my bike and tend to its (thankfully) rare woes. We both enjoy riding but does one of us enjoy it more? I doubt it! A retro BSA A10 or power egg A65 would be just the ticket for me. I’ve had a lot of old Brit iron and the easiest by far to work on were my trusty A65’s. 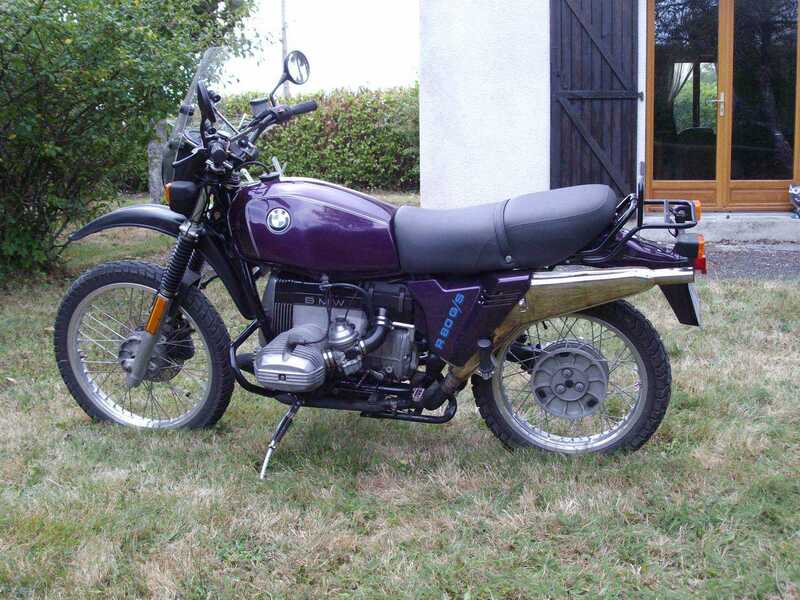 Converting an A50 from 500cc to 650cc could be done in a day. They were easy to customise and great fun to ride too (being able to scrape a sidestand on a corner added to this fun). Half the joy of riding a bike for me is opening that throttle and roaring up to the red line before selecting the next gear, this is also good fun on modern 650 or larger bikes but by the time you hit 3rd gear you’ll most likely be doing over the speed limit. The BSA B2 B sounds cool. Yep I’d have one, I was sold on the “definitely no chrome” idea. Just an honest bike that works well and can be services in my own garage with whatever tools I have. B2B for me! Though I’d think an electric started would be an ideal optional extra for folk like me who can do without the exertions of starting it..! My brother had an XBR 500 in the very early 90s and he loved it. Its a lightweight and fun bike, but did see it slagged off a couple of mags some years ago. My last three ‘real bikes’ were an SR500 and two SRX6s and before I screwed my leg up, as far as I was concerned, they were as close as I could come to ideal day to day ride. fascinating point of view and to e honest 10 years ago I would of said it was absolute claptrap but after riding a Bullet 350 around southern India I can see exactly what s required. For the past 10 years I have ridden Oilhead BMW Gs’s. For years I was fascinated with the latest tricknology associated with the latest performance motorcycles. What I find now is that my Enfield experience reminded of what it felt to be like running around on my first 3 or 4 bikes. Don’t get me wrong I adore my current 1150GS. What I find really exciting is what people are doing to old BMW airheads and giving them a new lease of life. I want technology, but only up to a point. I can do without points and condensors, as modern electronic ignition is so reliable. Fuel injection is debatable, as although reliable it cannot easily be fixed at the roadside, so I suppose carbs are good. I want an electric start, but can do without ABS, traction control, and things like linked brakes. Canbus wiring systems you can keep too, but LED bulbs seem like a good idea. Tyre pressure warning devices are over the top too, as far as I am concerned, just like electronically adjustable suspensions. Correct; there is far too much technology on today`s machines. 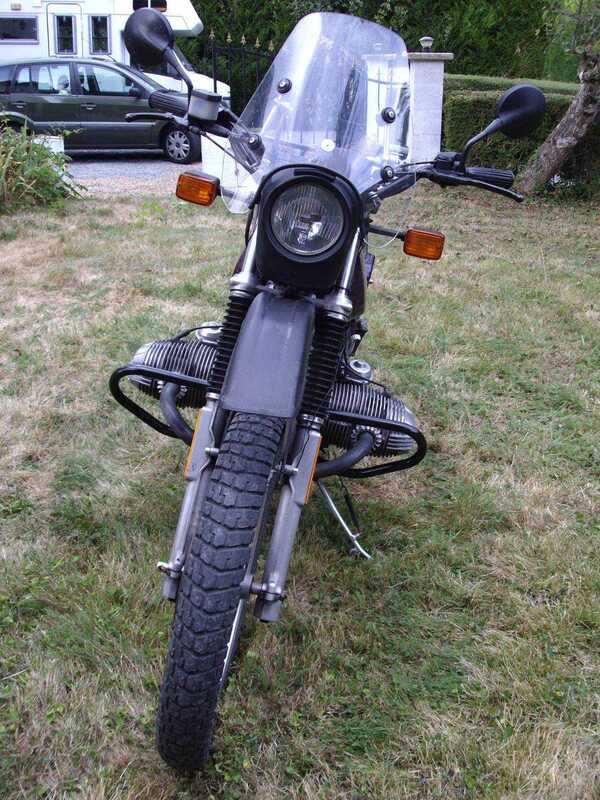 I have two 1978 BMW airheads, a R100RS Motorsport and a R45, both fully restored. I can get any bits for them that I need, and can easily work on them myself. The only modernising I have done is to fit a Boyer-Bransden ignition system to each of of them, and also Hawker Odyssey batteries. They always start first time, are utterly reliable, and nice to ride.The R100RS Motorsport has more than enough power and speed for all practical road purposes, whilst the R55 is fine for gentle club runs. Additionally, they are depreciation-proof. What more do you want froma bike? —and while I`m on the subject, why are modern motorcycles so big and heavy? (Yes, I know that some of today`s owners also fall into that category!) It can`t be down to the increased electronic complexity, or even the fact that so many bikes are water-cooled. It should be possible, I would have thought, to produce almost any bike up to 1,000cc without the weight exceeding, say, 400lb (~180Kg) with a full tank of fuel. Panniers for touring would add to the weight, but these do not need to be fitted for everyday use. That immobilizer thing is huge. The critical difference between my 2000 VW Eurovan’s marginal ability to be repaired by anyone other than VW’s inept service facilities and real mechanics is the immobilizer computer., Add that to the mix and the transmission control module, the engine control module, and the air bag computer can not be replaced without a VW-authorized installation. Nobody in the US has a clue how to fix an adaptive automatic transmission from VW, Mercedes, Audi, or Dodge/Fiat. I love fuel injection, electronic ignition, and many of the modern features in my WR250X and my DL-650, but much more than that and I’m out of the game. The bikes have to be repairable.